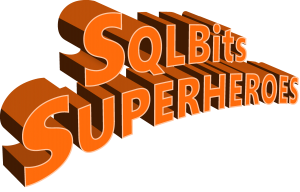 For June I am happy to be able to announce that I will again present on Extended Events at the SQL Saturday #409 Rheinland/Germany. – In fact I have already presented at the first German SQL Saturday in 2012 on Extended Events (“Tracing with SQL Server 2012 Extended Events”) – I hope this year it will be the final round to get even the last one off of the old & dusty SQL Profiler. Besides giving a free PreCon and regular session, my Company Sarpedon Quality Lab is again officially sponsoring this home-event. This is part of my commitment to the German PASS Community – especially since my own family starts to take more time, this is a bit of what I can do to support the PASS Deutschland e.V.. In September I will be at the SQLSaturday #413 Denmark in Copenhagen, organized, among others, by Regis Baccaro. I will be giving yet another PreCon on In-Memory OLTP and Clustered ColumnStore and a regular session on SQL Server storage.